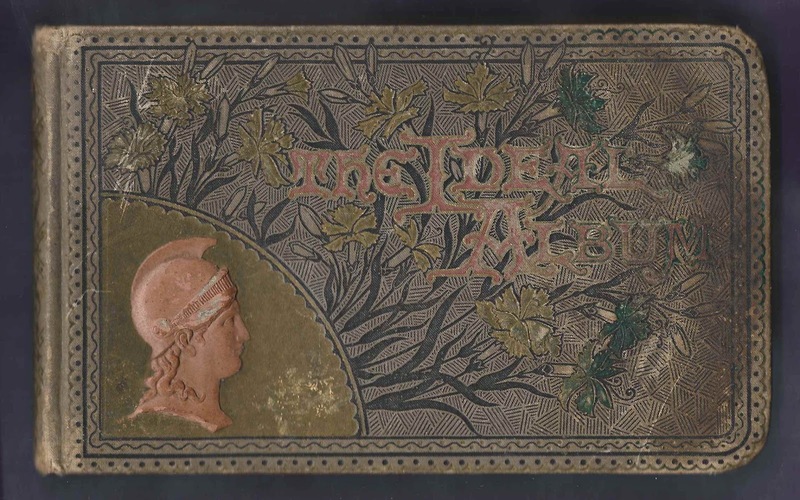 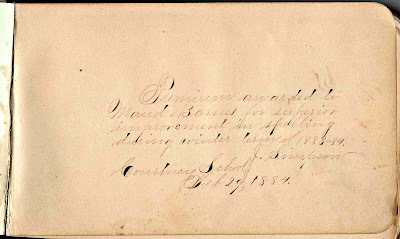 Autograph album that was presented by teacher J. Simpson, on 29 February 1884, to student Maud Barnes for improvement in spelling. 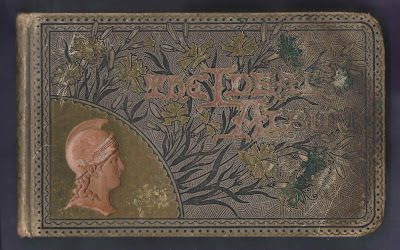 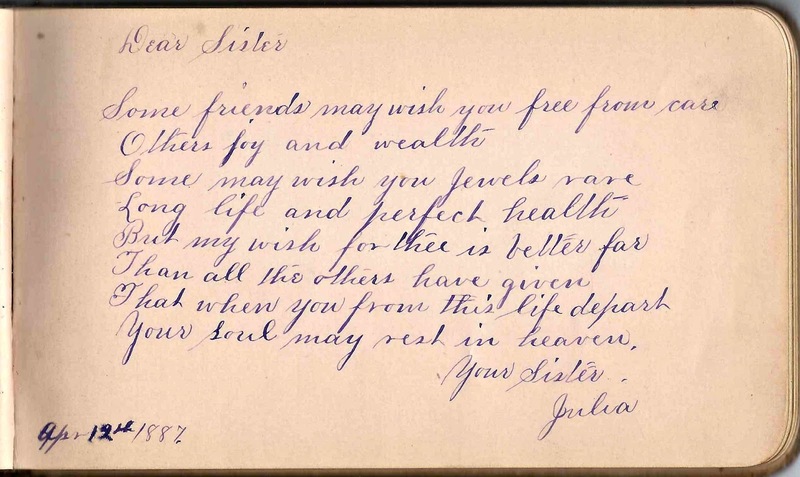 The album is approximately 7" x 4-1/4" and contains pages signed by 24 people, including Maud's teacher, as noted, her siblings and friends. 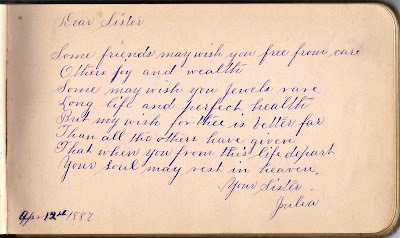 A complete list of the signers appears at the end of this post. 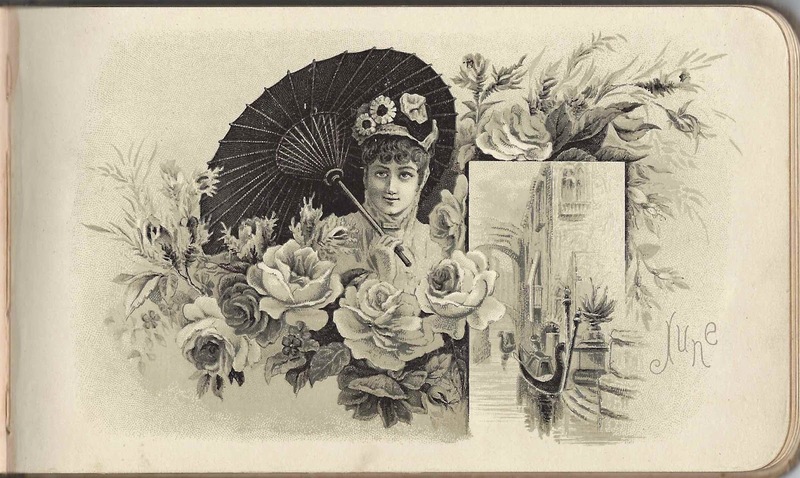 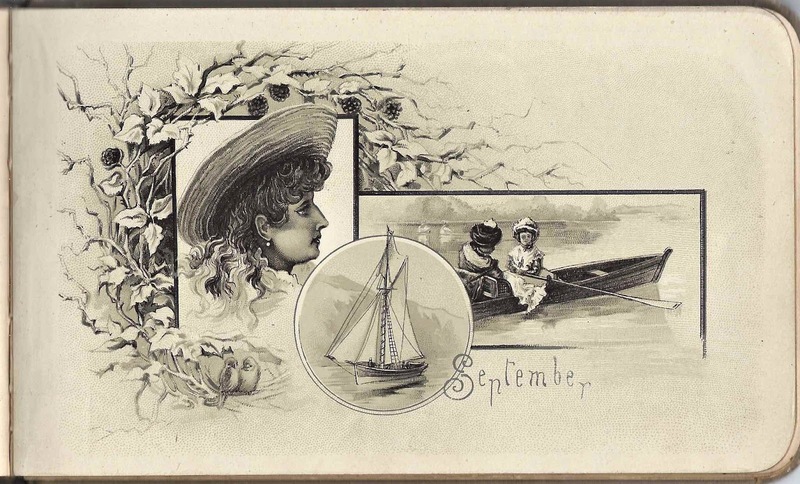 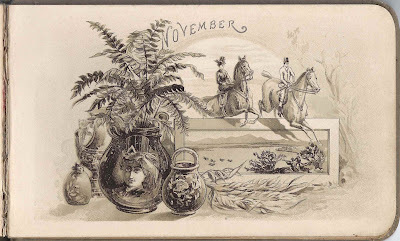 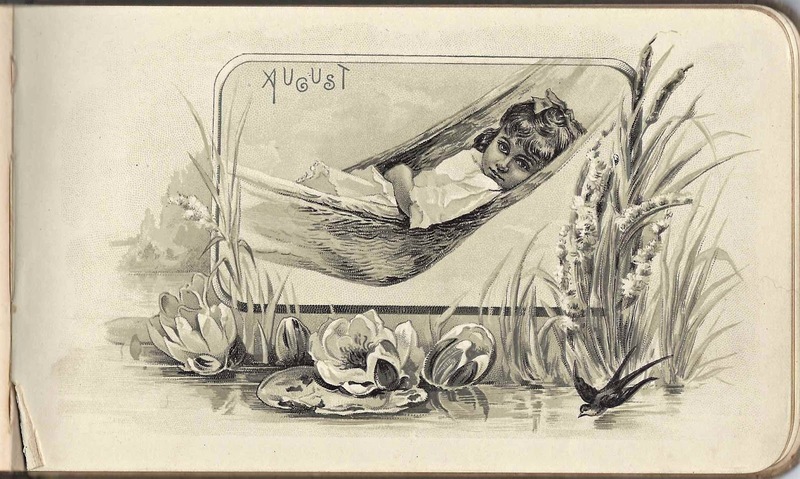 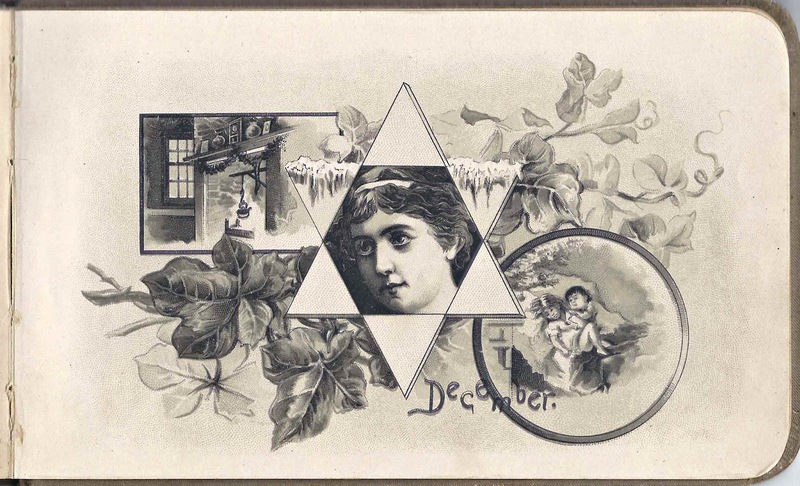 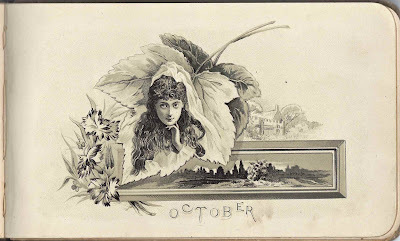 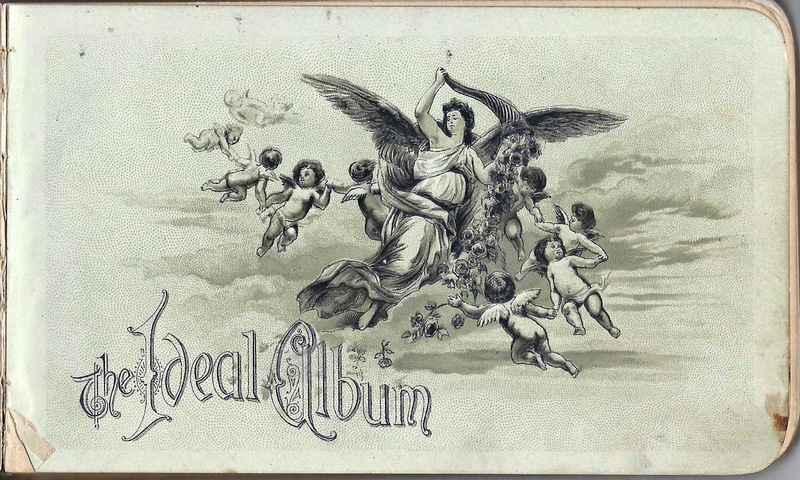 A neat feature of the album is an illustration for each month of the year, shown at the end of this post. 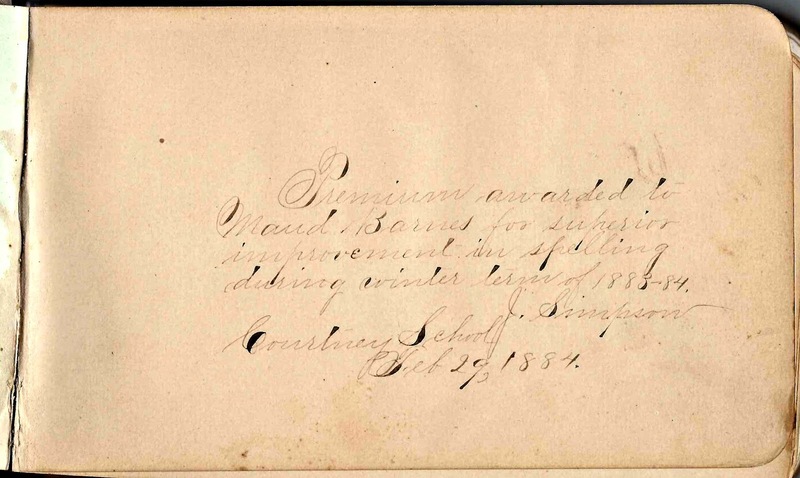 Maud's sister Emma Barnes signed a page at Harrisville, Pennsylvania, on 29 March 1884. 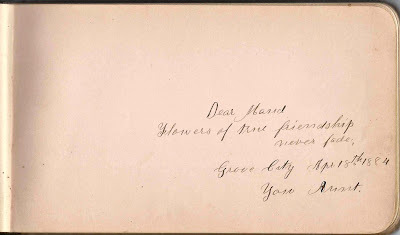 Maud's sister Julia Barnes signed a page on 12 April 1887. 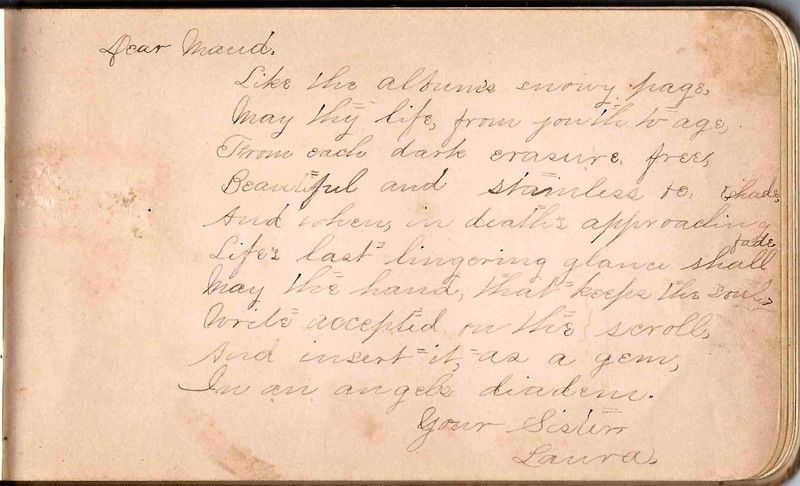 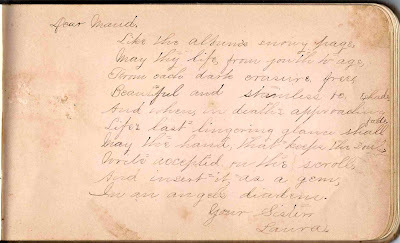 Maud's sister Laura Barnes signed a page. 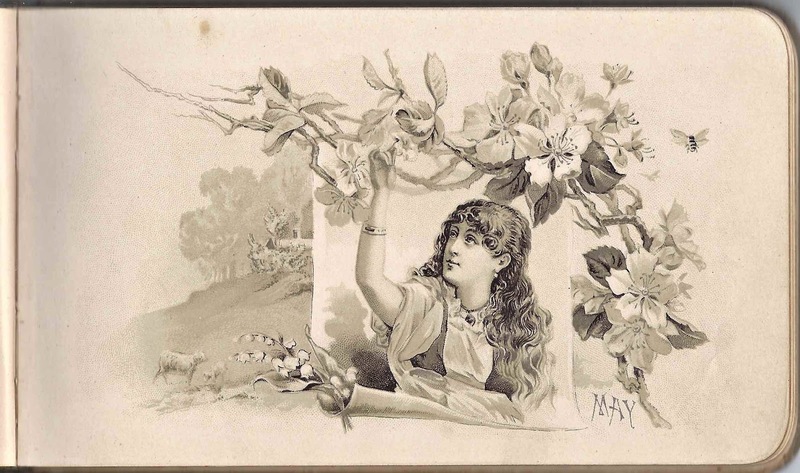 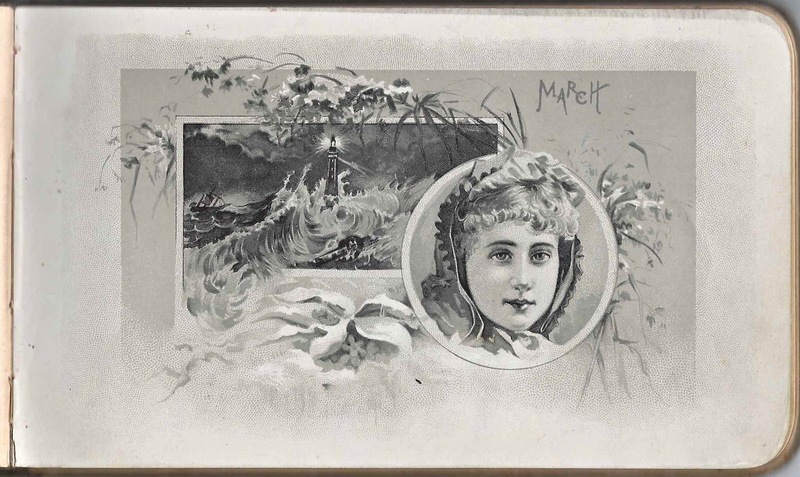 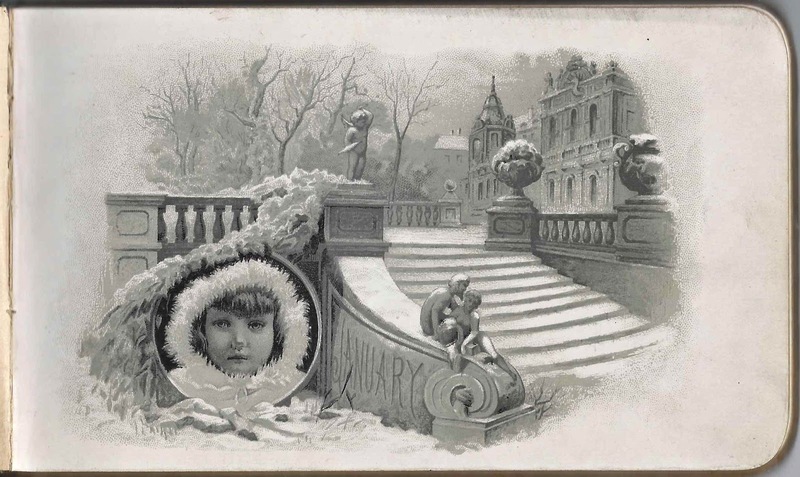 Maud's unnamed sibling signed a page on 30 June 1884 [or 1887]. 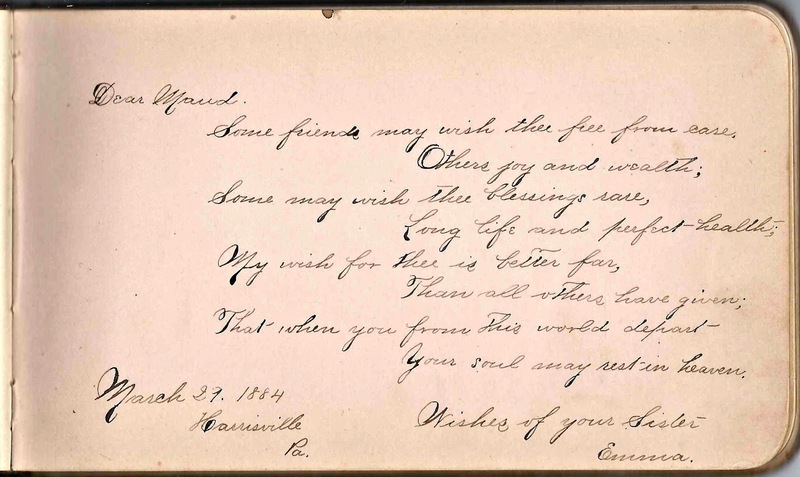 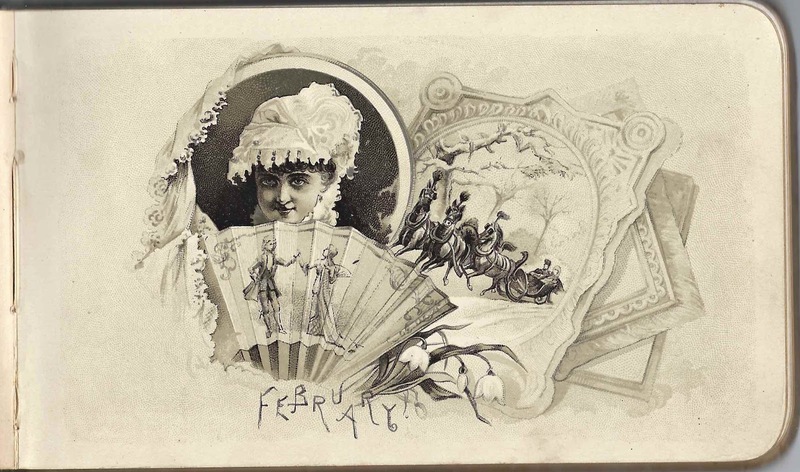 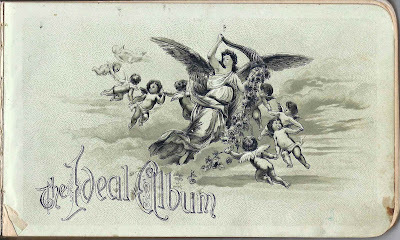 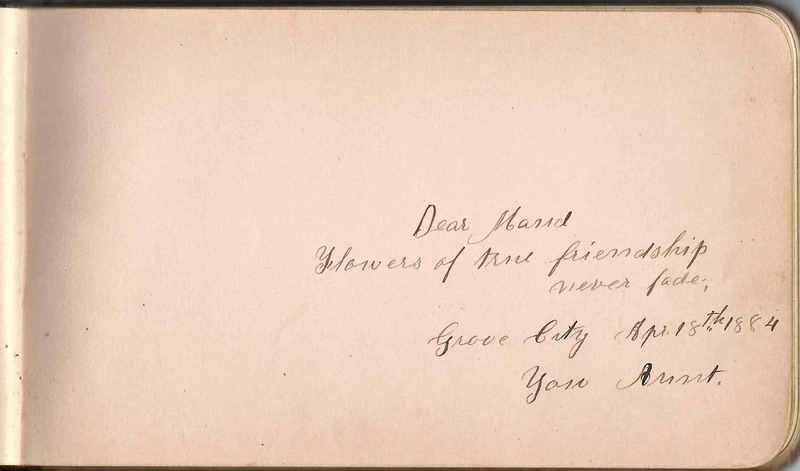 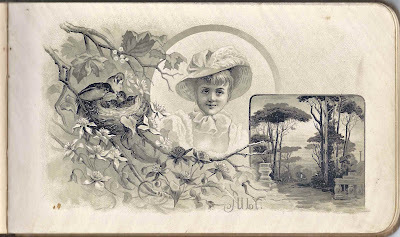 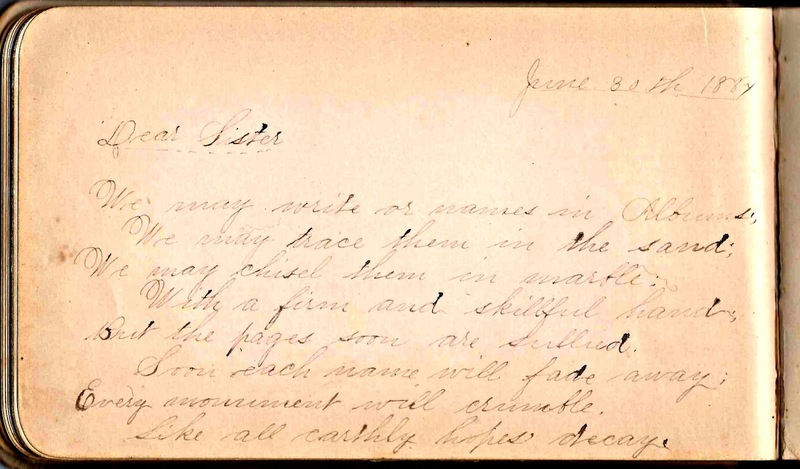 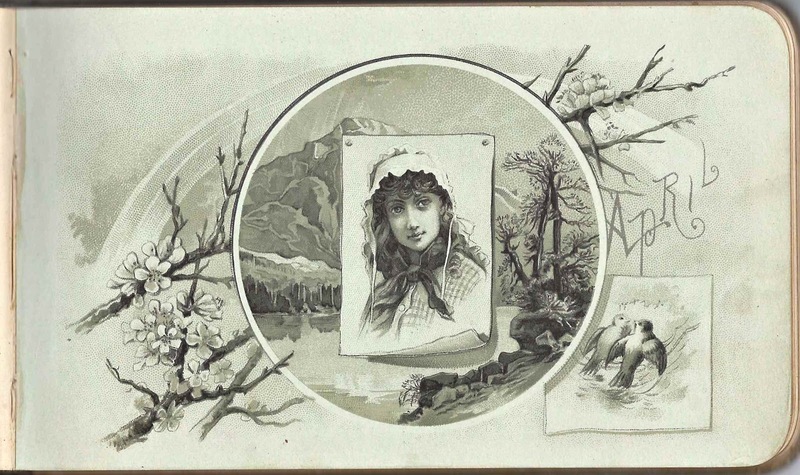 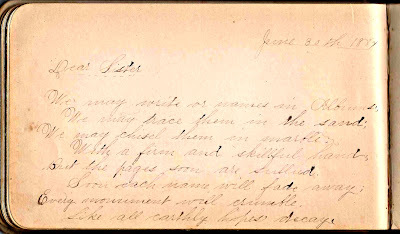 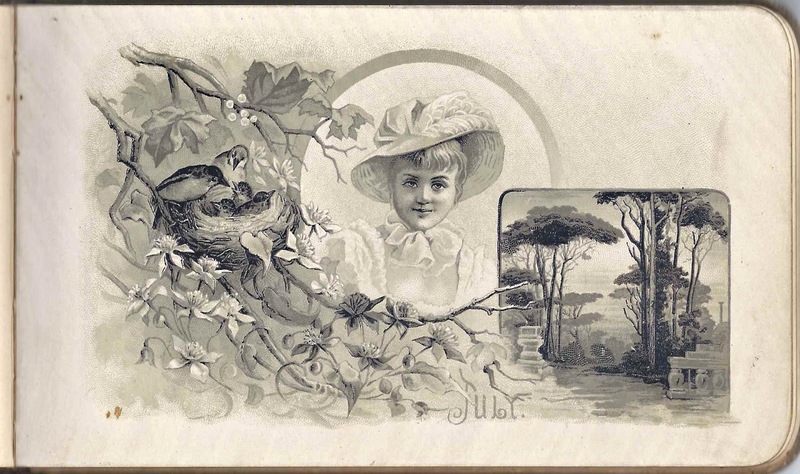 Maud's unnamed aunt signed a page at Grove City, Pennsylvania, on 18 April 1884. 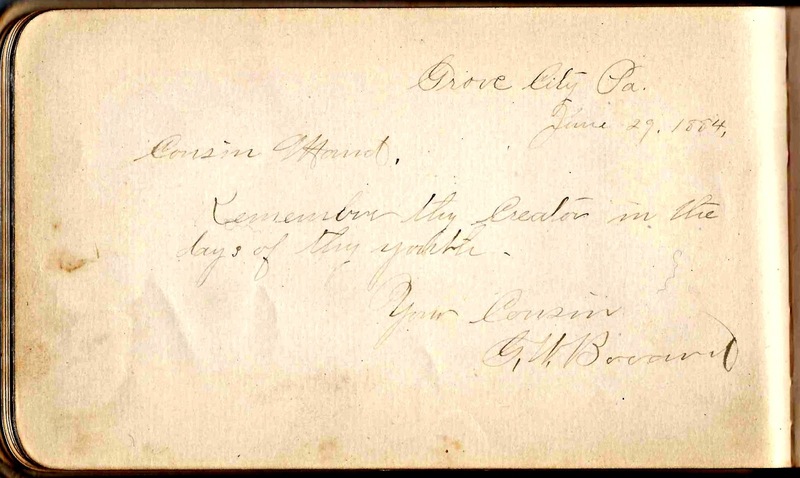 Maud's cousin, G. W. Boundy [not sure of surname - please leave a comment if you have a correction], signed a page at Grove City, Pennsylvania, on 29 June 1884. 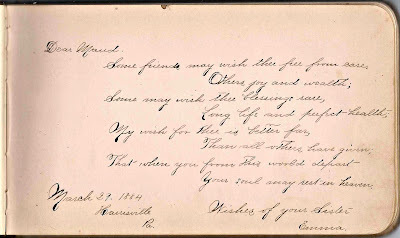 If you have corrections to the information above or information on any of the signers listed below, please leave a comment or contact me directly. Thanks! 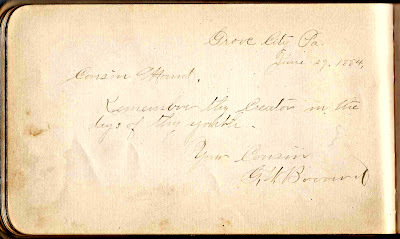 Mattie Brown, signed on "3-6-1886"